Softlips Lip Moisturizer contains Vitamin E which relieves chapped lips and helps keep them looking soft and healthy. The hydrating, glide-on formula comes in a slim tube and has a yummy scent that not only smells and feels great, it’s good for lips! 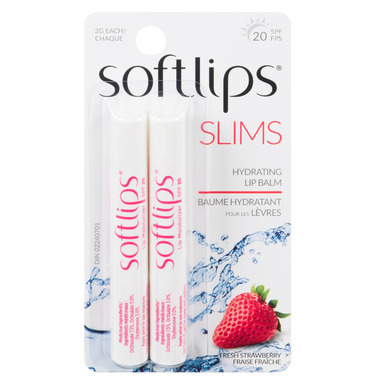 Softlips® Lip Moisturizer is a perfect everyday moisturizing lip balm that contains SPF 20 UVA/UVB to help protect lips.